Build a platform and stand on it. I recently announced that I was one of the top 100 winners of the Magazine Feature Writing category of the 79th Annual Writer’s Digest Competition. The entire competition consists of 10 categories and had over 12,300 entrants this year! Check out this post if you want to know a little more of the story behind the story. I love to read, and I love to write, but because of the length of this winning article, I’m dividing it into two posts. Enjoy the first half, and come back tomorrow for the conclusion. It’s been said that when White America sneezes, Black America catches a cold. It’s no different for the publishing world. Many writers of color are finding it difficult to publish their work the traditional way. The Multicultural Literature Advocacy Group (MLAG) created their annual Multicultural Literary Conference for this very reason. 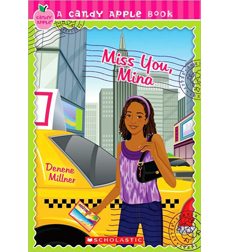 Dyahnne Alston, writer and founder of Sweetie’s Books/Sensations Publishing Company, says educators find it difficult to locate books for their classrooms written by writers of color and featuring children of color. Not to mention, writers of color that opted to self-publish could not get their self-published books into schools, libraries, and major bookstores. What’s an African American writer to do in the seemingly racist world of publishing? 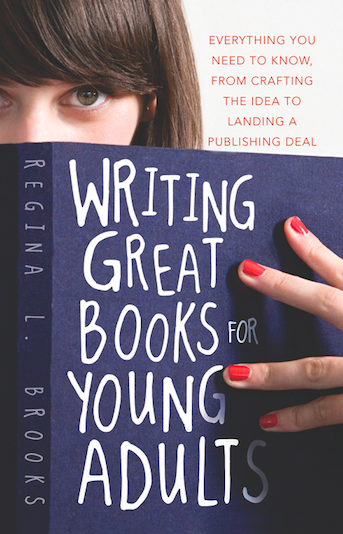 Brooks’ latest book, Writing Great Books for Young Adults, helps writers target the YA market. 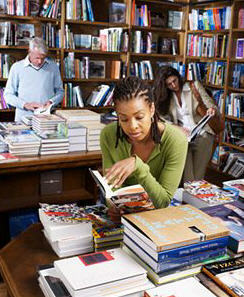 “Memoirs aren’t selling. Relationship books are hard to sell without a platform. 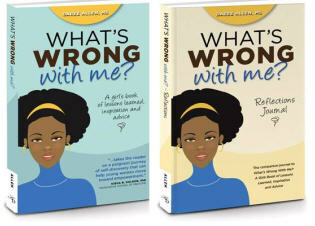 YA is the strongest market right now—it has increased 80% over the last two years, and publishing houses are hungry for new voices in the African American YA market, hoping that they can find new and innovative ways to market to African American youth,” she says. Around Christmastime last year, I had a great hour-long chat with Pulitzer-prize winning author and journalist, Karen Hunter of Karen Hunter Publishing. If you watch the video below, the same way she’s talking there is the same way she talked to me: straight up. She didn’t know me from Adam but was not hesitant to take the time to answer my questions about getting started as a freelance writer, the business of writing and publishing for Blacks in particular. 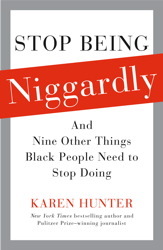 She shared her background and wisdom with me, and many of the things she imparted to me then were also mentioned in this book (which was then unreleased), Stop Being Niggardly: And Nine Other Things Black People Need to Stop Doing. In this post I’ll give you some of the highlights, but in short, this book is a must-read, and more importantly, a must-DO. 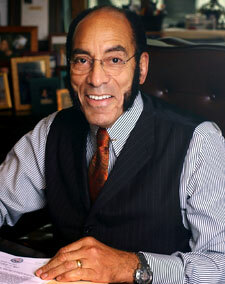 Earl Graves as one of those people (he is the founder and publisher of Black Enterprise magazine). She talked about how Blacks can be so niggardly (definition: stingy—watch the video above or look it up) and try to hold each other back from progress and success. Karen gives us a brief history lesson in explaining the racial categories we give ourselves here in America. The perceived origins of Latinos, Dominicans, Haitians, Blacks, and Jews have more in common than you might think (certainly more than I knew). I can relate all too well to Karen’s story about going broke and having to downsize (for her she had to move back home; for me it was moving from a house to an apartment). The key is the recognize when you’re going too deep in debt and to Stop Digging. How many of you are familiar with Suze Orman’s mantra, “People first, then money, then things”? It’s not just a saying that she closes her show with, it should be a way of life.